Just a heads up: As of today, July 11, 2012, there are only 163 days left before the world ends. At least according to the ancient Mayan calendar, which will officially stop counting days on December 21, 2012, signifying, in the eyes of many paranoid loons and conspiracy theorists, the arrival of doomsday. Will the sky fall? Oceans flood our dry land? Fireballs pop through the soil like Whac-A-Mole heads? Worst of all, will we not be able to see Quentin Tarantino’s Django Unchained when it opens on Christmas Day? Oh, the horror! If you’re anything like us, you’ve already started finalizing a bucket list and have immediate plans to begin knocking entries off in a mad dash to 12/21/12. Aside from having Kate Upton do the “Cat Daddy” dance in your bedroom, one of your top priorities should be to finally sit back, take a load off, and bask in the beauty and complexities of great literature—seriously. Anyone who’s spent hours inside a Barnes & Noble knows how daunting it is to select the right books, though, which is why we here at Complex have decided to provide a diverse end-of-days literary list, a.k.a. 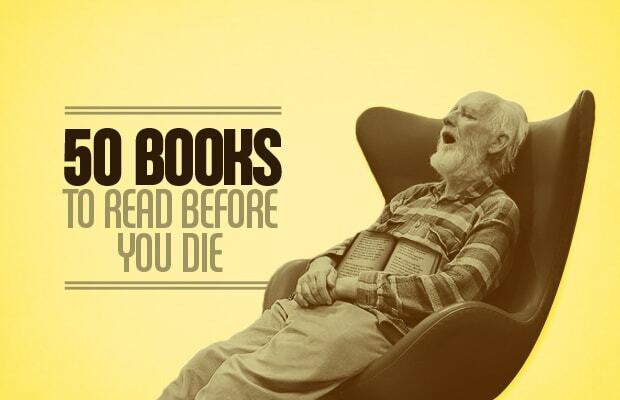 50 Books To Read Before You Die, one that’s been compiled from the personal libraries of each staff member.